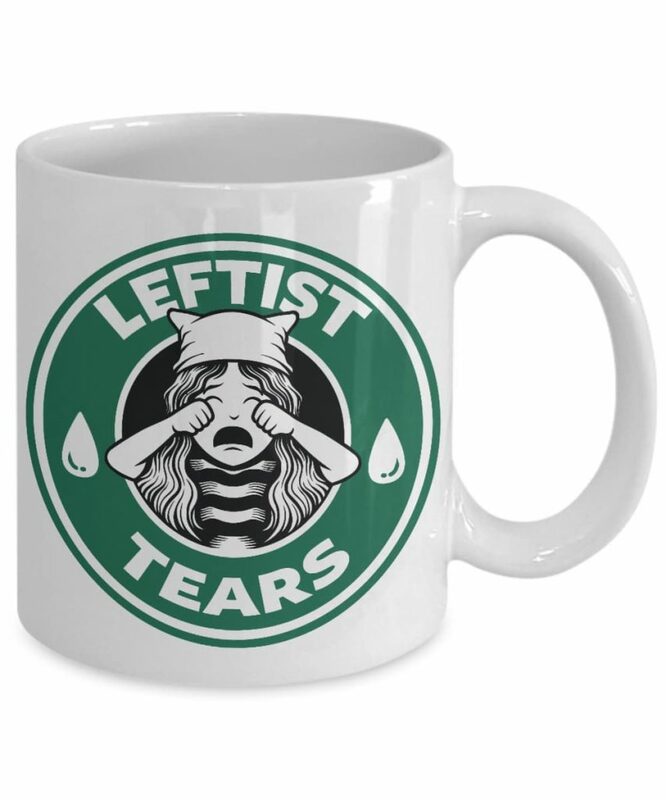 If you’re a fan of The Daily Wire and The Ben Shapiro show you’ve probably heard about the famous “leftist tears” coffee mug. We decided to create our own unique version of it. This mug is made of high-quality white ceramic with a comfortable, large handle that will stay cool no matter how hot your drink is. The image is printed using the best inks, so it will not peel off or fade no matter how much you use it. Once you’re done, toss it in the dishwasher to get it cleaned. The image is printed on both sides of the mug, so it is perfect for both left and right-handed people. Proudly printed and shipped from the USA! For coffee on the go, check out the travel mug version. Thanks to its thick double wall the beverage will stay warm or cold for hours, and it’s made of stainless steel for extra durability. 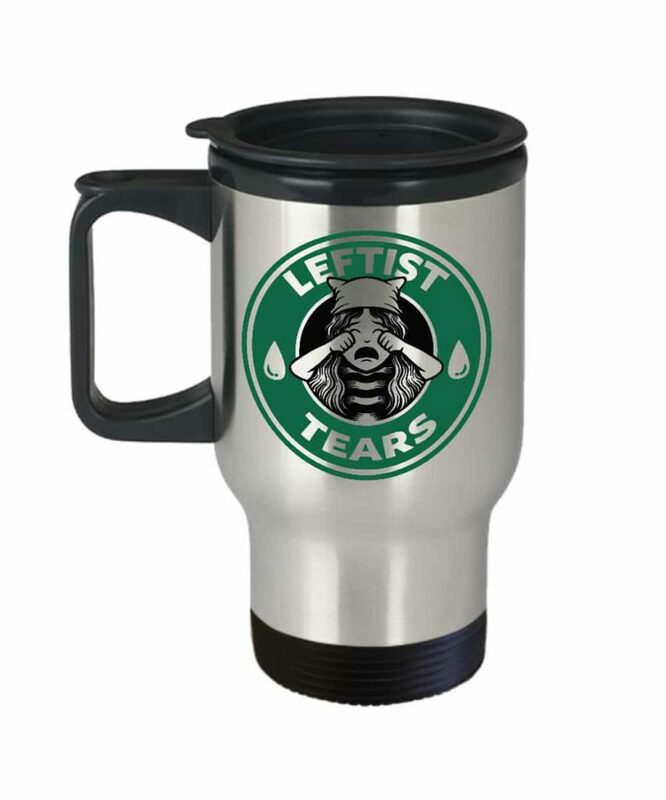 The leftist tears travel mug can hold up to 14 oz worth of liquid and has an easy-grip handle with a convenient thumb rest. The image is printed on both sides so it doesn’t matter if you’re a leftie or a rightie, the design will always show.